Whew ... This is harder than I thought it would be. There are so many ways to make money online, I find myself getting sidetracked and chasing rabbits down paths that I wouldn't normally take. Shortcuts for getting members to opt in, setting up an autoblog, viral links for traffic . . . It's so easy to lose focus when you're bombarded with eye-catching, emotion grabbing headlines that promise to fulfill your deep desire to become a successful internet entrepreneur "Instantly" and just by following "these simple steps." I've realized that I'm putting the cart before the horse. I'm nowhere close to having my site up and running yet I'm already looking at ways to get traffic to it, lol. "Whoa there, girlfriend!" Reality check. Hey guys, I was just introduced to this awesome FREE method to getting traffic and building your subscriber list at the same time and I wanted to share it with you. You want to sign up for this as there is absolutely no cost. 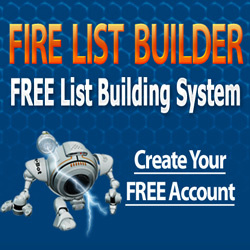 It's called Fire List Builder, valued at $97. Just click on the banner to check it out. 3. You Get Some Special Unadvertised Bonuses! 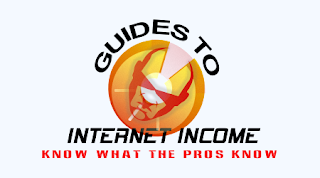 Well things are going awfully slow with Guides to Internet Income.com. Most of the problem lies in the fact that I'm learning as I go. I suppose I could pay someone to get it up and running, but in the end, I want to be able to say I did it on my own. You know, like that guy Chris Farrell. Actually, I don't know if he did it all on his own but I've been following him since he started years ago, about the same time I did in 2007 or 2008. Back then, he didn't have a membership site and his information was free. In fact, I joined his mailing list all those years ago and still have the Success Grenades he sent out. I even have his "Create Your First Website By 3:45 This Afternoon eBook." Go to InboxDollars and earn cash for e-mail, surveys, games, and a lot more! You'll get paid the same day as you complete your task. InboxDollars has been seen on the Good Morning America tv show, and partners with big brand name companies like Walmart and Target. It's absolutely free to join. InboxDollars makes you money fast! No more excuses, this has to be the quickest way to earn cash online. Head over there, sign up and start making some easy internet income! Earn $5 just for signing up. Alright, enough of my whining :-) If you have a blog related to making money online and wouldn't mind being listed on my blogroll, please leave a comment. If I don't get any takers, I'll have to go hunting and I've already spent ALL day working on my website, which is veeerrrrrryyyyyy slow going btw, lol. I'll update on that in my next post. No website, no problem! You can still make money online. Ok folks, I just came across the easiest way to start making money online ever! It has literally taken me about an hour or so to get up and running. Could the fact that the Superbowl just started have anything to do with just how fast I got this done? Maybe, lol. But check it out for yourselves and let me know if I was right. So what am I talking about? I just became the proud owner of a CBmall!!! It's the first real thing I've got going online, and you can do the same. I'm including an ebook to show you just how easy it is to do. And, oh by the way . . . . it's FREE!!! Hear me on this people - the website, the promotional tools, even the guide 100% free! Hello all! So it looks to be about 3 years since I last blogged, lol. Unfortunately my entrepreneurial journey was sidetracked once I got a job in the offline world. Work and kids and life in general took over. But I am back now, and with a vengeance! You see, my interest in making money online never went away, and every now and then, I would scour the internet for information on affiliate marketing, Google AdWords, building a website, etc.. I've accumulated a massive amount of information related to making money online and I'm determined to take action on what I've learned. Take to heart what Jesus said - John 10:10, "I came that they may have life, and have it more abundantly." God Bless!